Project Labor Agreements (PLAs) are government regulations that direct the wages and benefits of construction workers. All construction projects must have PLAs that have been vetted by the respective Worker Unions. Construction contractors (both prime and subcontractor) must adhere to the PLA throughout the project. 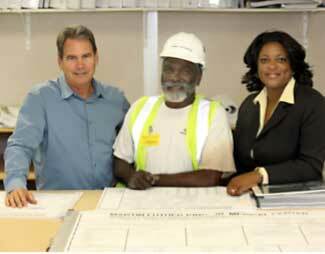 D. Pickett & Associates assists government agencies and prime contractors to develop PLAs for each construction contract. We assist agreement between the organization and the local Union. As we have longstanding positive relationships with these local Unions you want D. Pickett & Associates on your team for negotiating your PLAs. We have worked on numerous prior PLAs with the local Unions so we can expedite your agreements. Once PLAs are contracted, D. Pickett & Associates will work with companies to submit proof of PLA labor compliance to the government. We will ensure that you pass the government audits for labor compliance.